Yashwant Sinha carried out his "nation's duty" by coming out in the open and letting the world know that the current state of the Indian economy is in a "mess". There are two ways of looking at what the outspoken former finance minister has said — dismiss his arguments and concerns as the cynicism of a marginalised and disgruntled party senior, or to scrutinise his opinion piece published in The Indian Express on merit, and take it as an alarm bell from a knowledgeable insider, and hope those at the helm of the central government would take prompt corrective measures. Every word written by Sinha would come as music to Narendra Modi's critics and to BJP's political rivals. But even many neutrals would find Sinha's arguments not without merit and basis. He is not entirely wrong when he says the words "I am also convinced that what I am going to say reflects the sentiments of a large number of people in the BJP and elsewhere who are not speaking up out of fear" right in the first paragraph. Economists and the business fraternity would perhaps be better placed to make an objective assessment of what Sinha has written about the economy and Finance Minister Arun Jaitley's ability to handle and improve the situation. But the potential political implications of Sinha's comments would make for interesting analysis unto themselves. Sinha has an unmatched quality of making forceful articulations in whatever avatars he appeared in — from BJP spokesperson to Leader of Opposition in Bihar during Lalu Yadav's regime, as external affairs minister, finance minister, or as Leader of Opposition in the Rajya Sabha. For example, he famously described the likes of him as "brain dead" after the RSS enforced an unwritten code debarring leaders over 75 from active politics and positions. The problem for Modi and BJP president Amit Shah is that this is perhaps the harshest critique Finance Minister Arun Jaitley has received. Jaitley, a close confidante of the Modi-Shah duo, is considered among the best and the brightest men in the team; someone with immense clout in the party and in the government. His arguments acquire even more weight when you consider he used to be Jaitley's senior in the finance and external affairs ministries in the Atal Bihari Vajpayee government. Another problem for Modi and Shah is that this is the second time in one week that a senior party leader has gone public with criticisms of the economy. Just last week, Rajya Sabha MP Subramanian Swamy had revealed that he had written a 16-page letter to Modi using statistics from the finance ministry to caution the government of five "storm signals". Swamy said the economy was "in a tailspin, it can crash". Swamy and Sinha aren't known to be great friends. It's not known whether it was pure coincidence or by design that the two spoke out on the same issue, broadly in a similar fashion, albeit with contrasting personal styles and content, but the broad conclusion was the same. Both made the point that actual growth rate was lower than what is being projected by the new methodology. "So, what is the picture of the Indian economy today? Private investment has shrunk as never before in two decades, industrial production has all but collapsed, agriculture is in distress, construction industry, a big employer of the work force, is in the doldrums, the rest of the service sector is also in the slow lane, exports have dwindled, sector after sector of the economy is in distress, demonetisation has proved to be an unmitigated economic disaster, a badly conceived and poorly implemented GST has played havoc with businesses and sunk many of them and countless millions have lost their jobs with hardly any new opportunities coming the way of the new entrants to the labour market," Sinha said. 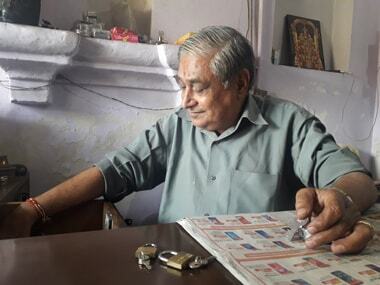 Another BJP leader and economist, who had been part of former Vajpayee's economic advisory council, told Firstpost that he had written to Modi with his own concerns about the economy and had flagged off certain issues. 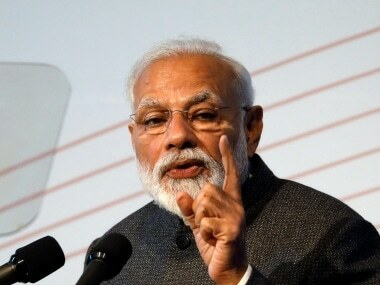 He said that Modi was misled by his advisors on two counts — stock market buoyancy and foreign exchange reserves, but according to him, there are certain other issues and indications that needed to be addressed. 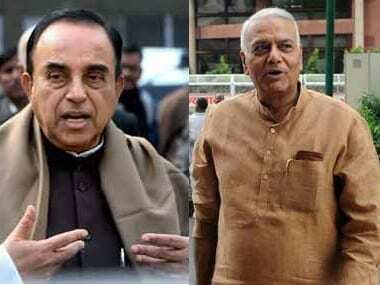 Comments by Swamy and Sinha have set off a spate of intense discussions among party leaders. The concern is not about what the likes of Rahul Gandhi, P Chidambaram, Arvind Kejriwal and Sitaram Yechury say, but rather from the feedback that they themselves are getting from their own social contacts and sources. Furthermore, the massive advantage that BJP enjoyed with social media is also slipping. Its rivals have become innovative with their communication techniques, and are using Twitter and WhatsApp as well as the saffron brigade used to. The Gauri Lankesh murder aftermath could be a recent example, when the narrative was decisively built and sustained by forces inimical to the BJP. Recent student union elections in Delhi University, Jawaharlal Nehru University and in Rajasthan and Punjab also went against the RSS' student body, the ABVP. 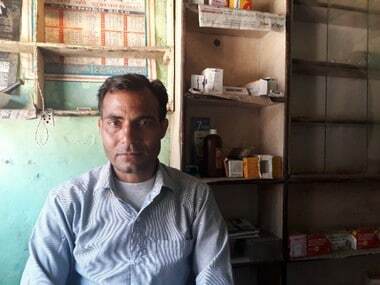 In Gurgaon, people chose to vote for Independents in the civic body elections rather than the existing political parties, another cause of concern for the ruling BJP. Narendra Modi's charisma has hitherto played a decisive role in ensuring BJP keeps enjoying electoral luck, but the underlying factor behind this was the faith people had in the prime minister as a person who would fix their social and economic conditions. It's for the BJP how it wants to interpret Yashwant Sinha's thoughts.